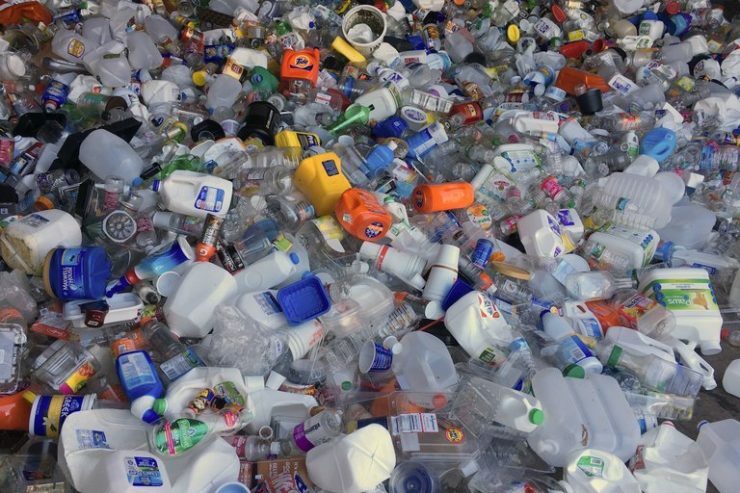 A project aimed at increasing the amount of plastic that is recycled in Moray and a joint initiative on green care have been successful in their applications to Moray LEADER in the latest round of funding awards. Moray Reach Out have been awarded funding to work in collaboration with fellow social enterprise ReBOOT to share information, expertise and knowledge to develop their recycling and training enterprises. They will carry out a practical feasibility study to establish a greater understanding about plastics in Moray and ways to process and use the plastic waste they receive from their customers. The Scottish Crofting Federation have been awarded funding for the Gaining Ground project which is jointly funded by Highland LEADER. The project is based on the idea of Social Crofting and Care Farming, the concept of green care and the promotion of social, mental and physical wellbeing through working of the land. The project will be aimed at both crofters and smallholders living in the Highland and Moray regions, some of who have expressed an interest in developing a formal network and who are looking for support on how to enter this new labour market as a diversification opportunity. Moray LEADER Programme Manager Norman MacAskill said: "These two projects fit well with Moray LEADER's strategic objectives, and we are confident they will make a real difference. Plastic recycling is an urgent issue which Reach Out and ReBoot are well placed to address. Green care through social farming or crofting is increasingly recognised as an important intervention to promote physical and mental wellbeing and I am delighted that Moray LEADER can support this initiative. "This is our first co-operation project working jointly with another LEADER area, and we have several more exciting ones in development."